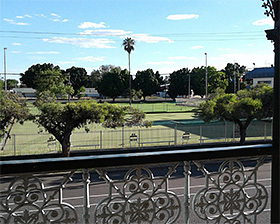 Visiting the back O’ Bourke and looking for accommodation in serviced apartments? Centrally located in Bourke’s CBD, at 43 Mitchell St, the historic Bourke Apartments offer great value accommodation for stays of two nights or more. Enjoy your stay in Bourke! Take a look at the apartments. A great location for your stay. Photo: stitchingbushwalker, Wikipedia. Straightened and brightened. Creative Commons licence. 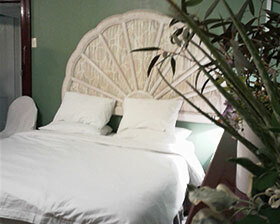 Check availability on our booking service. Bourke Apartments 43 Mitchell Street Bourke NSW, PO Box 195 Katoomba NSW 2780.